When looking for a premier garage door company in Chula Vista, CA you can count on Affordable Garage Door Repair. We offer any and all garage door services and stand behind the amazing work that we provide. We take pride in our competed projects and only leave the job when the customer is 100% satisfied. Whether you are in need of repair or replacement of you garage door you can count on the technicians at Affordable Garage Door Repair. We offer many services to all our customers’ whether you have a commercial space or a residential space we can help. To be sure that the work is always done properly and to our high standards all of our technicians are educated, trained and experienced in all areas of garage door repair or replacement. 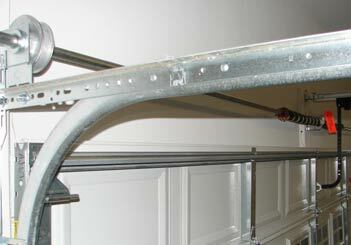 There are many problems that can come up with a garage door and we are able to help with all of them. Some of the most common problems that people have are with the door itself. It can be a problem with a motor or with the door coming off the track. These can all be repaired by our amazing technicians. We also find a lot of people have had some kind of mishap that has damaged the door and it needs to be replaced. This gives you the opportunity to choose the garage door that you want. To be sure that you have a garage door that is quiet and leveled for the best use you want to make sure that you hire a company that offers services with experience. We are licensed and insured and take pride in all the work that we do. We also make sure that the job is done to our high standards and leave the customer satisfied with the work we provide. We offer inspection services that can catch a problem before it actually breaks. WE also offer service to the motor and the door to ensure that it works properly. We also offer a wide variety of repairs to any area of the garage door such as tracks, motors and the doors. If the inspection finds that you are in need of a full replacement we offer a full replacement service.